The leader in running and sports apparel will not be outdone in producing accessories that will help athletes and active bodies in delivering their best performance. 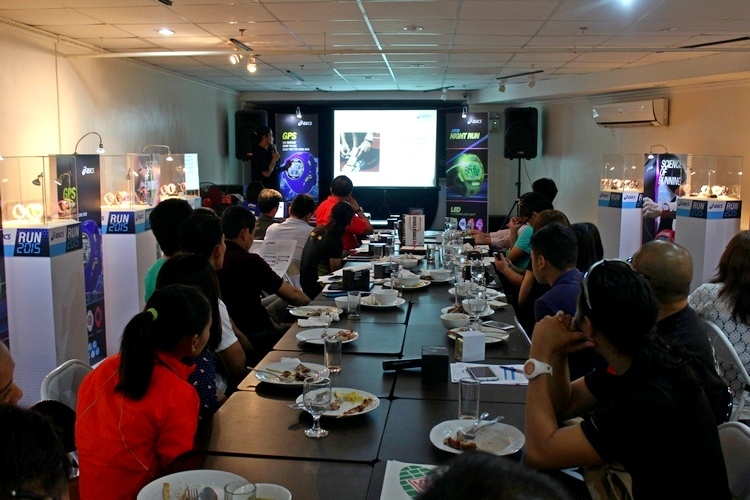 For this year, new additional gadgets in their sports watches line and was recently presented through a media launch held at 100 Miles Café, Fort Strip, Bonifacio Global City. 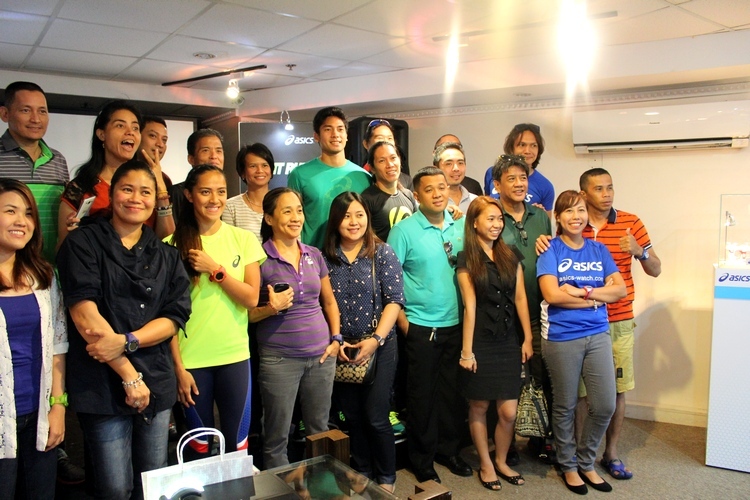 Various print and social media denizens including the Running Photographers attended this launch headed by Judith Staples, Marketing Head for LTime Studio. 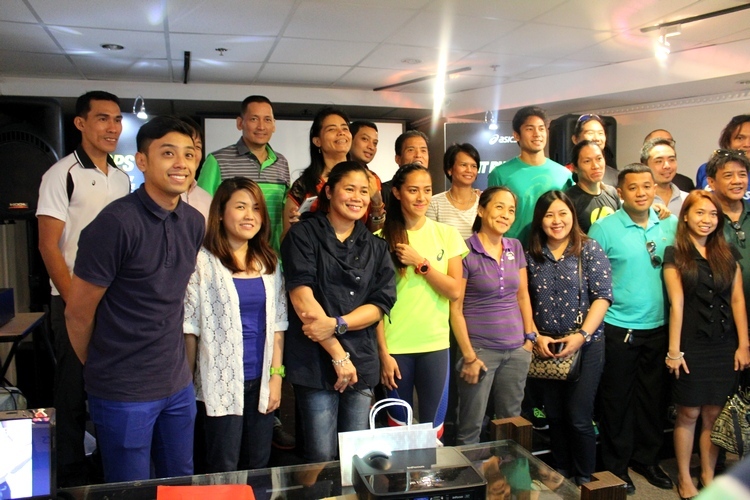 Sports broadcaster and personality Anthony Suntay and brand ambassadors and SEA Games medalists and participants Mary Joy Tabal, Katherine Kay Santos and Jesson Ramil Cid was present during the proceedings. GPS or Global Positioning Service is used in determining exact location in a particular time. This system is also employed in various phone apps like maps and taxi service in order to locate addresses and track vehicles and riders. 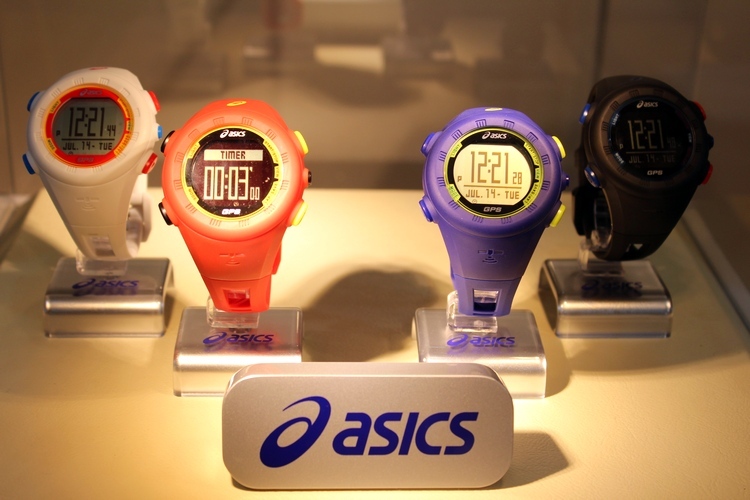 This same technology is employed in running watches in order to give real time pace, speed and distance readings. When uploaded after the run, its dedicated online app will provide topographical and geographical picture of the run route, particular position against specific speed in time, fastest and slowest pace indicators, and a number more functionalities that will give the runner a vivid picture of how his or her run went out. 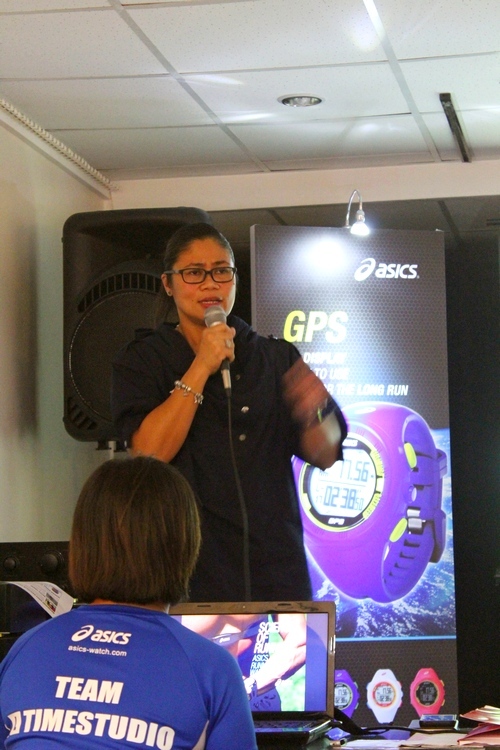 ASICS AG01 is equipped with GPS making it a runner’s best running accessory. 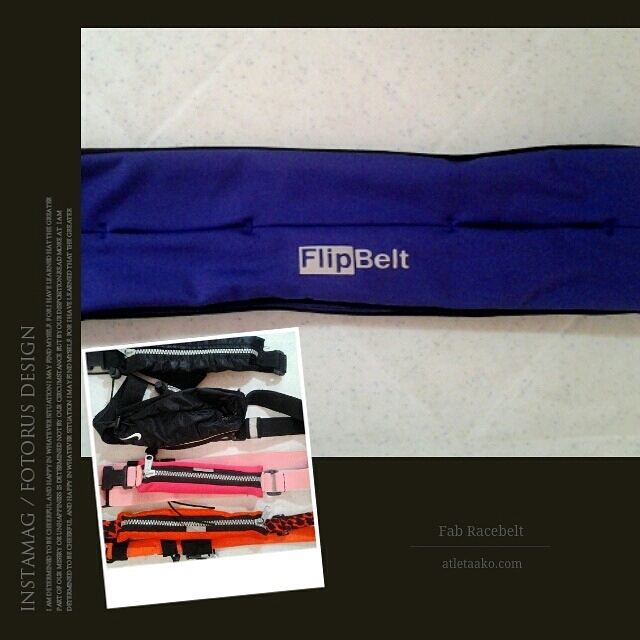 The design I can describe as sporty stylist and come in four color choices of black, white, red and bluish purple. 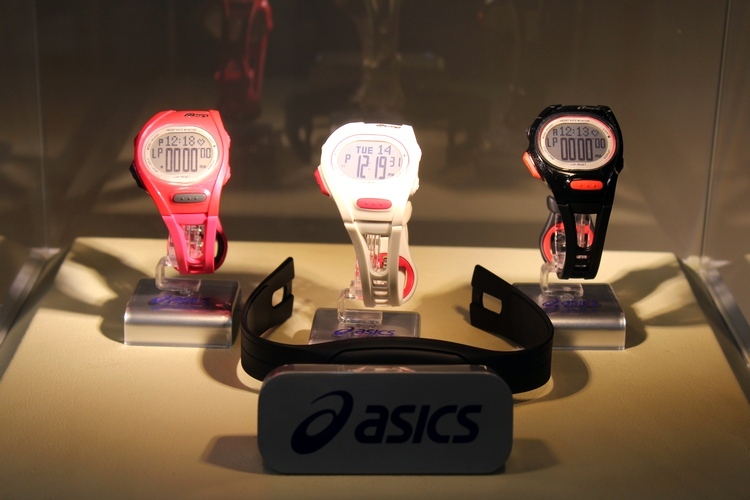 The liquid crystal display is wide enough for easy reading even while running. The press buttons are big and prominent for easy pressing yet intuitively located for easy access and avoid unintended pressing by wrist movement. 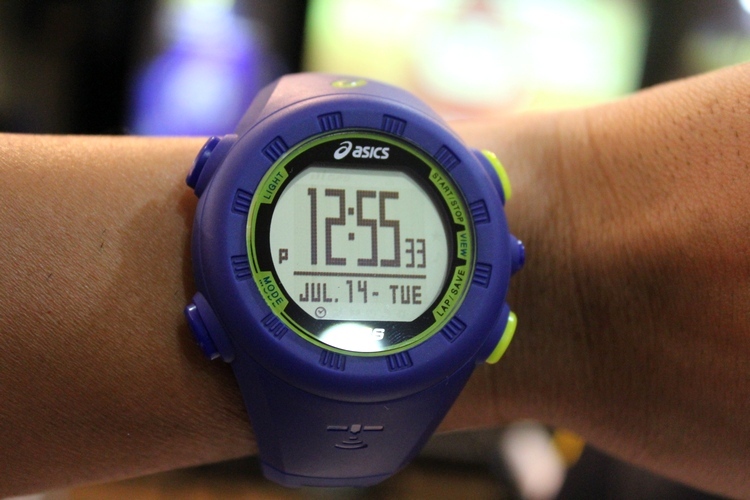 One of the recent evolutions in the Asics line of sports watches is memory upgrade. More than 500 laps can be saved in its non-volatile memory. This means that these data will not be lost even when battery is changed. Running at night is inevitable as sometimes it is the only available time to run for those busy at work and family. With the onslaught of ultra-runners, running at night or in the early hours of the morning is part of the long run or race that can go on for most of a day or two or even more! 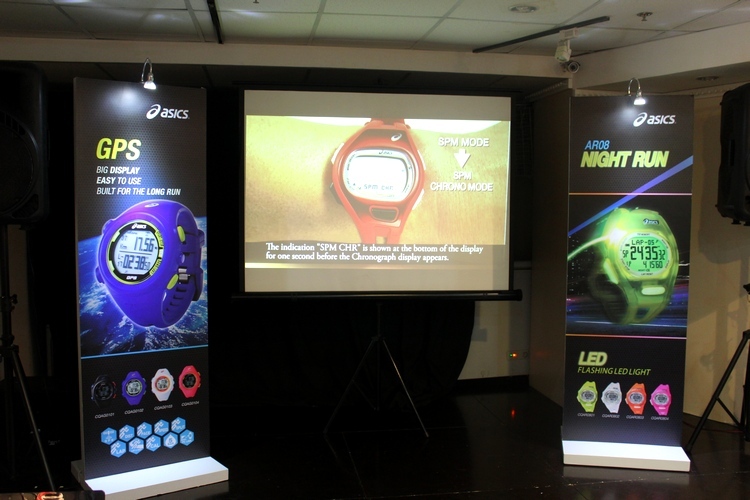 A running watch that comes equipped with bright lights for visibility in the dark is most innovative. 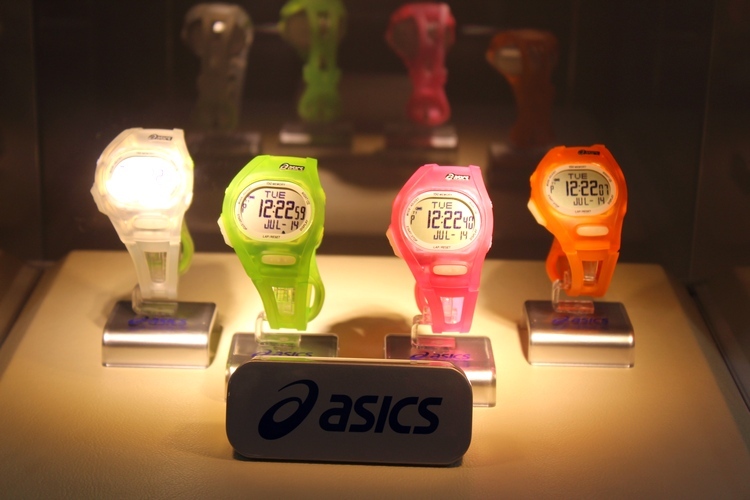 Asics LED Night Watch comes with a continually flashing LED that goes on for 30 minutes when triggered with a button. This de-necessitates the need to push the light button each time one needs a time or chronograph read out. These look great too with four color variants to choose from giving off same colored lights in the dark. Matching with running apparel will not be a problem as a result. Training can become grueling at times. During intense interval, speed, or tempo sessions, physical effort needs to be managed and controlled to avoid over training. During long runs, exertion should be maintained and signs of fatigue monitored. The best indicator of physical strain is the heartbeat. The watch equipped with the heart beat monitor is not only useful, it can prove lifesaving, in these instances. 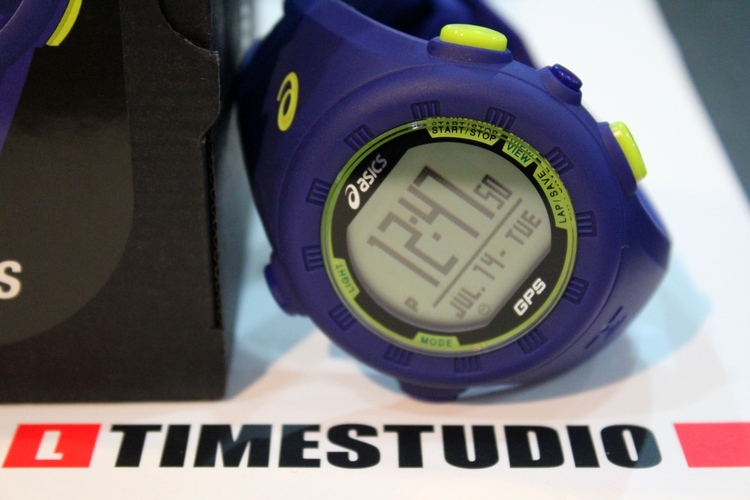 Asics AH01 has got the capability to monitor heartbeat through a chest strap that comes with the watch. 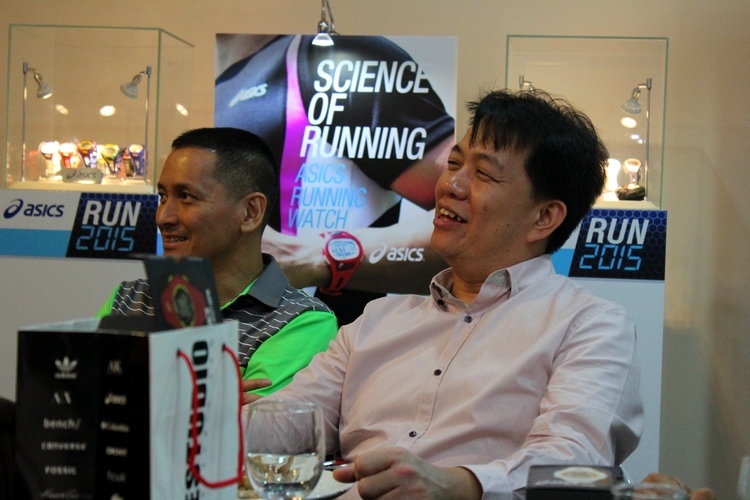 It has a built-in heart rate sensor that calculates AT (Anaerobic Threshold) Heart Rate using proprietary algorithm developed by ASICS Institute of Sport Science. By the way, anaerobic threshold is the point at which lactic acid starts to develop in the body and signals the onset of fatigue. 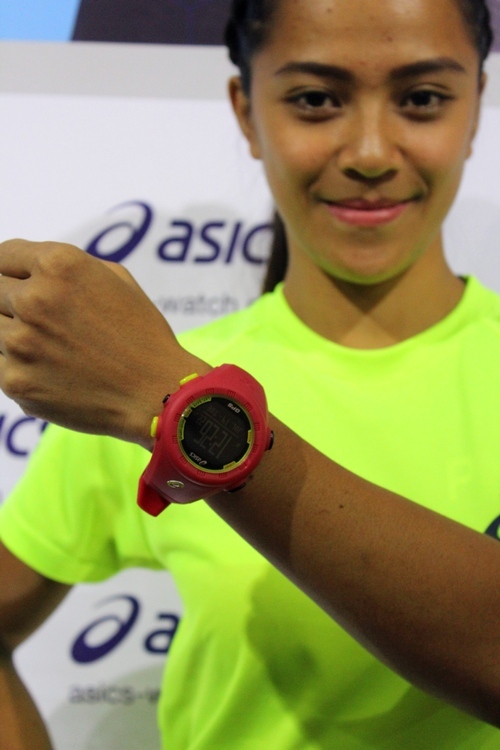 With the information processed by the watch, together with the runner’s inputted age and weight, it will inform the runner when his or her pace, speed, exertion are at threshold or peak level. Depending on physical conditioning and nature of training, he or she can either push these boundaries for a regulated period as part of training or back down a bit to recover. 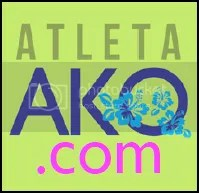 In this manner, the runner can perform or train efficiently and safely. Great read and review. I’m interested to have a grip to one, especially the GPS watch. Have you road tested it mader? Btw, how long can the battery holds up? Is the GPS accurate ( I asked because some gps watches put to test at the same time conveys varied results)? Still putting it to rigid testing. My review will come out in a bit. Just used it yesterday in my 8K run. Initial impression is that on first gps connect, it took around 2 mins to establish connection. This is already good enough. The succeeding connections in same area will be faster. Will try it again on Sunday.